Looking for an objective review of the new SEAT Ibiza Hatchback? OSV has got you covered, from engines to Ibiza lease deals. The SEAT Ibiza Hatchback is one of the most popular small cars of all time. Fun, handsome and powerful, it’s got bags of appeal. No Ibiza has ever looked bad, but the new one still manages to look sexier than its predecessors. A 2015 refresh has also boosted key areas such as power trains, running costs and in-car technology. Fancy going to Ibiza, then? OSV takes a closer look at what it’s all about with our 2017 SEAT Ibiza Hatchback review. The Ford Fiesta remains the most entertaining small car to drive, but the new Ibiza isn’t all that far behind anymore. It’s sharp, engaging and nimble, and is a fab alternative to the Ford. And if it wasn’t for the Ford, this would be the best car to drive in this class. The suspension is still a bit harsh, despite SEAT’s best efforts to soften it up. The driving position is good, which helps to make you feel really involved behind the wheel. Body roll is at a minimum in bends, and the steering is responsive. The engine range has been given quite the makeover. The best all-rounder in the range is a 1.0-litre 94bhp EcoTSI turbo petrol engine that promises good performance and economy. Pair it up with the snappy five-speed manual transmission, and the SEAT is a very confident, competent and even poisoned machine. This engine can do 0-62 in 10.4 seconds, before maxing out at 119mph. If it’s pure performance you want, you’ll need to take a look at the 1.4-litre TSI petrol engine, which can dust off the 0-62mph sprint in 8.0 seconds. For a hatchback, that’s mighty quick. However, the smaller 1.0-litre petrol engine will easily satisfy most buyers. In terms of the diesel engines, a 1.4-litre TDI is a good bet. It’s got a good amount of power in its arsenal, and can achieve fuel economy returns of 72.4mpg. 0-62mph can be done in less than 10 seconds, and it’s free from road tax if you can get it registered before April. We like the 5-speed manual gearbox that comes as standard on all models. It’s smooth, solid and short. If, however, you fancy an automatic transmission, there is the offer of a DSG on the sidelines. It employs wheel-mounted paddles, which won’t be to everyone’s tastes. You might want to use this as a chance to get used to it, though, as many cars of this ilk will be adopting it in the years to come. The interior is hit and miss. The dashboard is nicely arrange, with the dials clear and bright. This makes them easy to find and use. The cabin doesn’t look all that dissimilar to the found in the VW Polo. There are similarities in terms of the aesthetics, but also in terms of the quality. There are some harder plastics that let the side down in the Ibiza, but overall the interior feels solidly built and looks good. However, space is a bit of a contentious issue. The driver and their passenger won’t have any problems, but it’s a different story in the back, where adults will be pinched for space. You get to choose between a three-door and a five-door model, with the latter making it easier to access the rear seats. Rear headroom is a bit tight in whichever model you choose. The driving position is good. The seat and the steering wheel are both height adjustable so that you can get into the position that feels best for you. But while front visibility is excellent, rear visibility is less so. Overall, this is not the most practical car in the class, but the boot is a strong point. It measures 292-litres if you go for the five-door model and 284-litres if you go for the three-door model. However, storage space is not fantastic. You get the usual, such as door pocked and a glove box, but their size suggests that they’re mere token gestures. If you’ll be using your car a lot, you might find that the cabin quickly gets a bit untidy. Standard kit is very good throughout the range. The basic model gets electric front windows, split-folding rear seats and air conditioning, while the SE model adds LED daytime running lights, a touchscreen infotainment system, alloys and Bluetooth phone connectivity. Opt for the VIST trim and you get bigger alloys, hill hold assistance, cruise control, as well as rear parking sensors. The FR model sits at the top of the range, and comes with sports suspension, sports seats, as well as automatic headlights. The list of optional extras is long. You can add cruise control for £130, while we recommend the Convenience Pack which will set you back an extra £230. It comes with rain sensing wipers, automatic headlights and other useful niceties. Prices for the new car start out from just under £10,000, and rise to £17,300. If you prefer to lease, you can pick up a deal from as little as . For more information on our SEAT Ibiza Hatchback lease deals, you can check out our SEAT Ibiza lease page here. Whether you’re operating on a strict budget or have got a bit of cash to splash, the Ibiza has an engine for you. The base level engines are a bit sluggish but super cheap to run, while at the opposite end of the spectrum, more powerful engines demand a fairly princely sum at the pumps. The most frugal engine in the range is by far the EcoMotive, which can achieve fuel economy returns close to 80mpg. If you get it registered before April, it’s free from road tax. If you want more power, a 1.2-litre TSI petrol engine is a good shout. Average fuel economy returns of 57.6mpg are not so bad either. The Ibiza has always been one of the most attractive hatchback’s around. It makes this sector look good. The great thing about the Ibiza is that it caters for so many price ranges. If your budget is tight, you can pick up a basic Ibiza for under ten grand. On the other hand, if you want the best Ibiza possible that can get you from a standstill to 62mph in 8.0 seconds, you’ll just have to stump up more cash. Few cars can rival this fun-loving hatchback when it comes to on the road entertainment. It’s a riot. How you feel about noisy diesel engines will come down to personal taste. Rear seated passengers might start grumbling if you keep them in there for too long. Let’s see how the car fares against its rivals in the comparison section of our 2017 SEAT Ibiza Hatchback review. 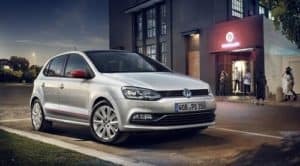 The new Volkswagen Polo Hatchback is one of the most upmarket hatchback’s around. It boasts a classy interior, lots of standard kit, and feels as though it’s really grown up. Indeed, there is a real maturity about the way the new Polo Hatchback looks and drives. It’s never going to offer as much fun as the new Fiesta, but on a long stretch of road it’s both comfortable and quiet. Take it onto bendier country lanes, however, and its weaknesses are exposed. For example, the steering is just light. The consequence of this is that you can’t accurately gauge how much grip you have, which loosens up your confidence a bit. In corners, there is plenty of lean, but overall the driving experience is stable. The smallest petrol engine in the range is worth overlooking. It takes over 15 seconds to get you from a rest to 62mph, which will be far too slow for most buyers. A 75bhp version of the 1.0-litre petrol engine is noticeably quicker, but for a bit more punch it’s worth looking at a turbocharged version of this engine. It delivers up to 108bhp and can do 0-62 in 9.3 seconds. The diesel engines are more expensive to buy outright, but they are cheaper to run. Performance is not entirely sacrificed, with the most powerful diesel able to get you from a rest to 62mph in under 10 seconds. The 1.4-litre diesel engine, in either 74 or 89bhp guise, can achieve average fuel economy returns of 74.3mpg. Both are free from road tax. The petrols are also affordable to keep on the tarmac, with the smallest engine able to average fuel economy returns of 58.9mpg. The ace in the Polo’s pack is its upmarket interior. Fit and finish is excellent, and it’s as comfortable as a posh saloon. However, the design won’t be to everyone’s tastes as it’s very restrained and conservative. Where the SEAT is still young at heart, the Polo has very much grown up. A minimalist centre console is easy to read and operate, and the dashboard is forged from top quality plastics. It’s all built to last. The Polo is also a fairly practical car. There is a reasonable amount of room in the three-door model, but the five-door is more usable. It’s easy to get in and out of, and rear seat space is good. Storage space is another plus, with the car housing plenty of useful cubbyholes, as well as a huge glove box. The boot, meanwhile, measures 280-litres, which is slightly less than the SEAT’s. The wide opening and low load lip are handy. 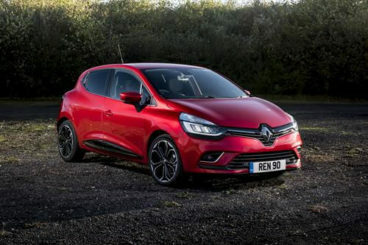 The new Renault Clio Hatchback is handsome, easy to drive, and remains one of the most popular cars in this sector. The Clio is familiar to us all as a sporty hatchback that’s a born entertainer. The 2017 model, however, is a more mature affair. It’s all grown up now, and shifts focus on refinement and comfort. Light steering and a fair bit of body lean are features of the way this car drives. The engines are for the most part smooth and quiet in and around town, but none can be what you’d call especially performative. The underpowered entry-level petrol engine is worth overlooking, but beyond that is an appealing 0.9-litre three-pot TCe90 unit. It’s a nippy little blighter that can skip through traffic, and is ideal on short trips. The entry-level 1.5-litre diesel engine delivers up to 89bhp, while the other diesel in the range is also a 1.5, but produces up to 108bhp. Both engines are relaxing to drive, and both accelerate quicker than the petrol engines. The 108 is better suited to the motorway, though. In terms of running costs, Renault have done a good job of keeping a lid on fuel consumption. The car is considerably lighter than last time, which has helped to improve efficiency. Most of the engines also comes with stop-stop tech, which further lowers fuel economy. The cheapest engine to run is the dCi 90 diesel, which can return 88.5mpg in its least powerful form, and when mated to a manual gearbox. Step inside and you’ll see where the Clio has really come of age. The interior is more usable, more comfortable, and generally more, dare we say, it sophisticated. The brand have used more soft-touch plastics to this end, and we like the satin-effect metal trim. There are minor complaints, however, such as a lack of side support for the standard seats, and niggling stereo controls. You can’t get the Clio available as a three-door anymore, which further boosts practicality. Despite being strictly a five-door car, the Clio still looks stylish. In fact, it looks very much like a more mature three-door. Front seat space is good, but rear seat space is less so. Getting into the back is easy enough, but there isn’t that much room once you’re there. This is not helped by a sloping roofline and a high-mounted rear seat. The boot is a huge positive – measuring 300-litres, it’s one of the biggest in this sector. This car has always been the hatchback of choice for young families or young drivers who want to look good on the road and have some fun. It’s a party piece that knows life is for living. 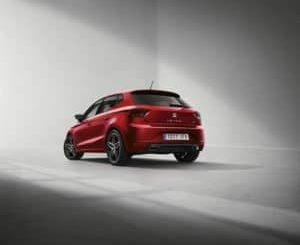 Whether you want to spice up your morning commute or get out and about on Sunday jaunts, the new SEAT Ibiza Hatchback is entertaining, affordable, fast and stylish.